As we ebb away from the cold grasp of winter and into the warmth and promise of spring, this month MINTD is bringing you the tools for this much wanted but drastic transitional period. The change in season requires a change in routine, a change in skincare products and a change in attitude. My fave box so far! 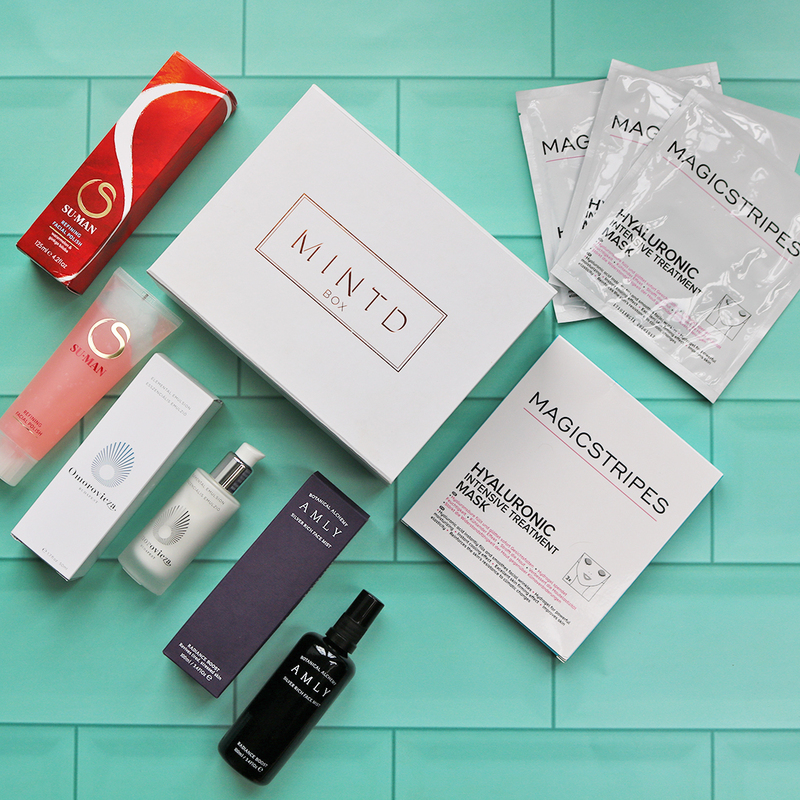 The selection in this box is such amazing value and each product has left my skin feeling and looking amazing. The masks are hydrating and relaxing to use, the suman polish leaves my skin so soft, the mist is scented beautifully and feels very refreshing. I love the omorovicza emulsion & I’m seriously considering getting this box again to treat myself to these lovely products! I am so glad I have this box. I like every single product. The value of the box is really great. The packaging like always - gorgeous! I'm a big fan of mintdbox ! Definitely worth to buy and try such amazing products as Su man facial polush and Omorovicza Elemental Emulsion. It will be repurchase for sure. The mist is nice and well hydrate my skin. I bought this box primarily for the lovely Omorovicza Elemental emulsion which at £85 RRP made the box a steal to get three other products I had never tried included. I am yet to use the hylauronic masks but have been pleasantly surprised by the two other products. The mist is a pleasure to use, smells lovely and very grounding as well as hydrating. The su-man facial polish was the least anticipated product for me out of the box initially, but I am absolutely loving using it on a Sunday evening, my face is so soft and feels lovely and comfortable afterwards. A great box!